On Easter Sunday 1902 Constable George Doyle, Albert Dahlke (the manager of Carnarvon Station), and Tracker Sam Johnson travelled to the Carnarvon Ranges on a mission to capture cattle duffers Patrick and James Kenniff. After a confrontation with the brothers at Lethbridge’s Pocket and a dramatic horseback chase through the bush, Constable Doyle and Dahlke managed to capture James Kenniff. While Sam was retrieving handcuffs from a packhorse, he heard five shots ring out and suddenly found himself being pursued by the Kenniff brothers. Sam managed to escape and alerted the police at Mitchell. Two days later, police horses were found roaming aimlessly near where Doyle and Dahlke were last seen. In the packsaddles of the horses were the charred and mutilated remains of Doyle and Dahlke. One of Queensland’s largest manhunts ended three months later when the Kenniff brothers were arrested without a fight near Mitchell. Sam Johnson was the sole survivor of the murderous event and he was a key witness in the subsequent trial. During the trial in 1903, it was determined that Patrick Kenniff fired the fatal shots, whilst James Kenniff was standing with Constable Doyle and Dahlke. Patrick, who proclaimed his innocence to the end, was hanged on 12 January 1903. James was also sentenced to death but his sentence was later commuted to life imprisonment. He was released from jail in 1918 and died in 1940. 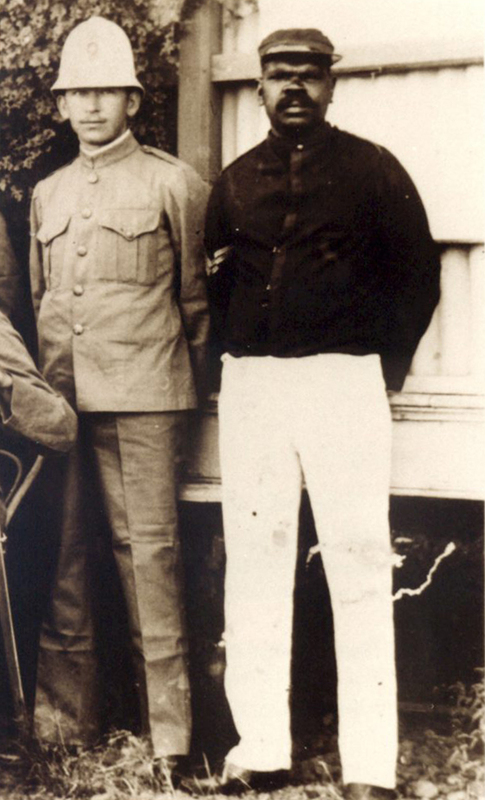 After the trial, Sam was transferred to Roma and again to Longreach due to threats against his life – thought have come from Tom Kenniff the younger brother of Patrick and James Kenniff. Peter Keegan of Roma was researching the arrest and trial of the Kenniff brothers. He advised the FQPM of Tracker Johnson’s unmarked grave somewhere in the Longreach Cemetery. The FQPM Management Committee considered that Sam’s grave deserved the dignity of a headstone. Although his grave was unmarked, it was believed it could be located with accuracy from cemetery burial records, in relation to adjacent graves. Contact was made with the Officer in Charge of Longreach Police (Senior Sergeant Graham Seabrook) and the CEO of the Longreach Regional Council (Mark Watt). They indicated they were keen and available to assist the FQPM with the project and were prepared to undertake local research into Sam’s life in Longreach, including the history of his wife, of which there is very little known. 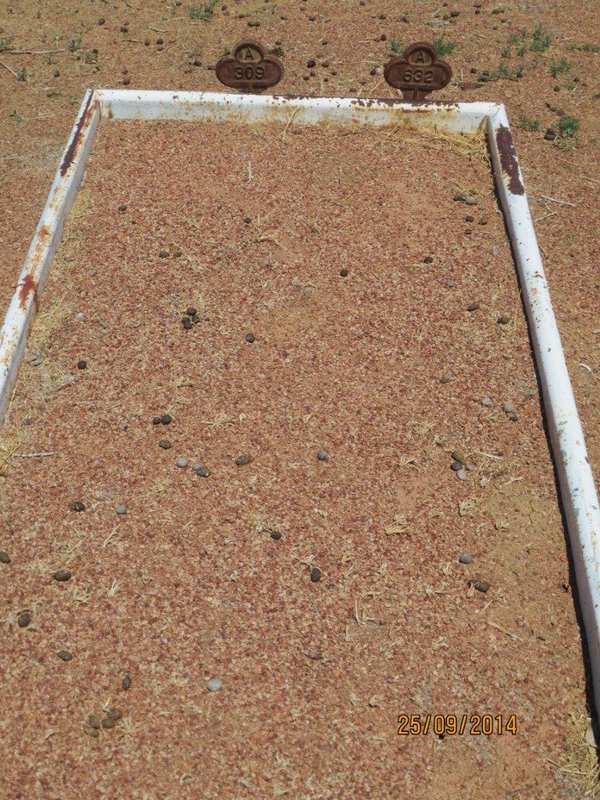 The Longreach Regional Council provided additional information concerning the Johnson grave. It confirmed that Sam Johnson died of Influenza Broncho-Pneumonia on 22 June 1919. He was buried on 23 June 1919 and his grave (number P632) is located in Section Three of the old cemetery in Longreach. Two grave markers were found on Sam Johnson’s gravesite – A632 and A309. Although records reveal Sam’s grave is P632, it is a known anomaly with some grave markings in the cemetery. The other marker (A309) indicates another person is buried with Sam and it is presumed that it may have been his wife. There is no available information to confirm this. Hilda Maclean, a Past President of the Friends of the Toowong Cemetery and historian, has done research on behalf of the FQPM regarding Sam Johnson, in particular, with a view of obtaining some detail of his wife who in preliminary research is not referred to by her name. 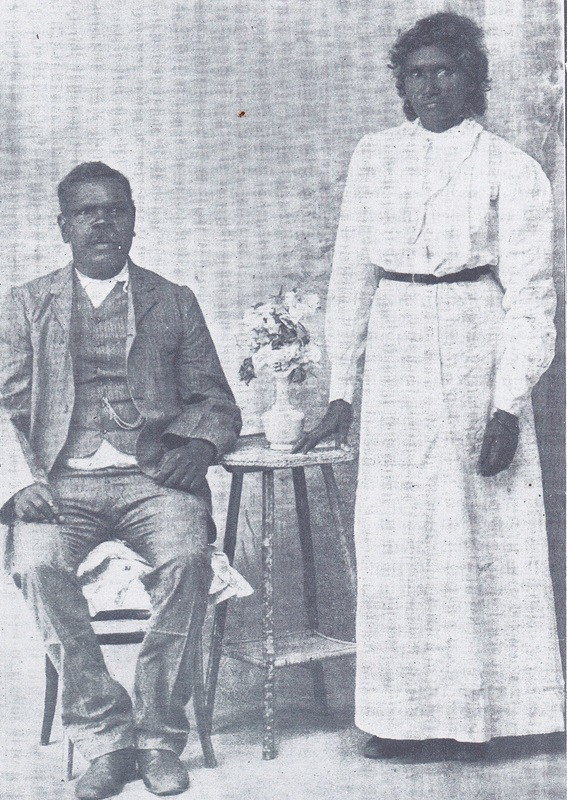 Sam Johnson, a member of the Bidjara people, was born around 1877 near Charleville (Queensland). He served for 23 years as a tracker with the Queensland Police. He died in Longreach on 22 June 1919 during the Spanish Flu epidemic and was buried in an unmarked grave in the Longreach Cemetery. In 2015, Tracker Sam Johnson was honoured at the National Police Remembrance Day ceremony at Longreach in western Queensland with a dedication of his grave. Sam’s grave is now suitably marked with a headstone and plaque. 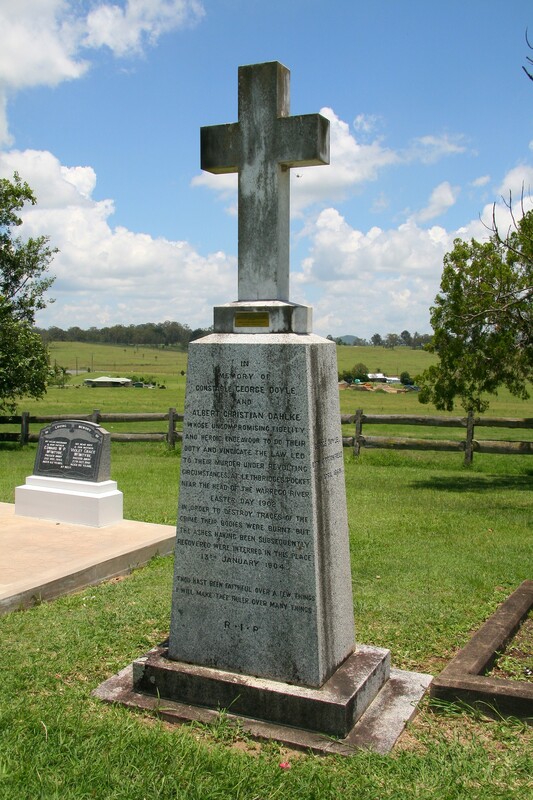 As a matter of interest, Constable Doyle and Albert Dalke are memorialised on a property at Tamrookum near Rathdowney, Queensland.